Title: All Signs Point To War Attack On Iran! ONE Sign In Particular Would Alert Any Intelligence Analyst! 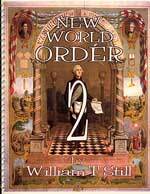 Confirms Albert Pike's Three World Wars Plan! 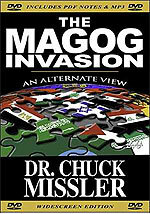 If Iran is attacked, the likelihood is that the entire Middle East will boil over in war and World War III will ensue! The progress in the prophecy, above, will prove true -- Iraq first in war, followed by the entire earth! After four years of threatening and cajoling, events seem to be forming which strongly signal that President Bush is about to order an attack on the Iranian nuclear facilities. As we speak, four American aircraft carrier groups are in the Arabian Sea - Persian Gulf region, conducting aggressive "War Games" exercises. On the other hand, Iranian naval and air forces are also in the Arabian Sea, conducting their own "War Games" exercises. 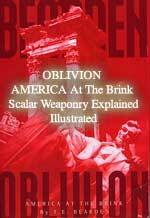 Many observers fear that, with all this military hardware aggressively operating in the same part of the ocean, it would be easy for the government to stage another false incident which could be used as an excuse to launch a war. The staged "Gulf of Tonkin" comes readily to mind, a deliberate incident in which the Johnson Administration claimed that American forces had been attacked by North Vietnamese boats, thus providing the pretext for all-out war in South Vietnam. After 13 fruitless years of war, and 58,000+ American dead later, the North Vietnamese stood victorious in the entire Vietnam Peninsula. Every American who died, did so in vain. Some people fear that the recent seizure of 15 British Naval Marines by Iranian gunboats near the Iranian area known as Shatt al-Arab Waterway might turn out to be the excuse to go to war, much as the Gulf of Tonkin incident was the excuse for President Lyndon Johnson to escalate the Vietnam War to 550,000 soldiers, airmen, and sailors. Let us now review some of the strong indications that President Bush is setting the stage for an attack on Iran. "WASHINGTON DC — The long awaited US military attack on Iran is now on track for the first week of April, specifically for 4 AM on April 6, the Good Friday opening of Easter weekend, writes the well-known Russian journalist Andre Ulan in the Moscow weekly 'Argument Ne deli'. Ulan cites Russian military experts close to the Russian General Staff for his account." "The attack is slated to last for twelve hours ... In the course of the attack, code named Operation Bite, about 20 targets are marked for bombing; the list includes uranium enrichment facilities, research centers, and laboratories. The first reactor at the Bushehr nuclear plant, where Russian engineers are working, is supposed to be spared from destruction. The US attack plan reportedly calls for the Iranian air defense system to be degraded, for numerous Iranian warships to be sunk in the Persian Gulf, and the for the most important headquarters of the Iranian armed forces to be wiped out." "Observers comment that this dispatch represents a high-level orchestrated leak from the Kremlin, in effect a war warning, which draws on the formidable resources of the Russian intelligence services, and which deserves to be taken with the utmost seriousness by pro-peace forces around the world ... Divas noted that it was not to be excluded that the Pentagon would use smaller tactical nuclear weapons against targets of the Iranian nuclear industry. These attacks could paralyze everyday life, create panic in the population, and generally produce an atmosphere of chaos and uncertainty all over Iran, Ivashov told RIA-Novosti. 'This will unleash a struggle for power inside Iran, and then there will be a peace delegation sent in to install a pro-American government in Teheran' ..."
Of course, this scenario presupposes that the attack is successful, and that Russia sits idly by while pro-American forces topple the hardline Iranian regime. As we shall see later, this particular development would doom Russia's standing in the Islamic world so greatly that the prophecy of Ezekiel 38-39 might not happen! Since we know that prophecy will most assuredly come to pass, we believe that the actual unfolding of events will be much different than the one proposed in the last paragraph, above. Some French war vessels were also operating in the area. "A French naval strike group, led by the aircraft carrier Charles de Gaulle, was operating simultaneously just outside the Gulf. But the French ships were supporting the NATO forces in Afghanistan and not taking part in the U.S. maneuvers, officials said." The Iranians, it seems, organized their own naval exercise. "TEHRAN, March 22 (RIA Novosti) - The Iranian Navy has begun a series of military exercises in the Persian Gulf to test the capabilities of its domestically built naval weaponry ... Iran has been spending a considerable share of its defense budget on its naval forces over the last decade. During an exercise last November, it test-launched three new models of domestically manufactured anti-ship missiles with extended strike range. The current wargames are the fourth since the beginning of 2007 and are largely considered to be part of preparations for possible U.S. and Israeli strikes on its nuclear facilities." When you have this much naval hardware operating on the same small piece of ocean waters, it is easy to "accidentally" cause an incident which can be beaten into a major provocation. A "Gulf of Tonkin" type of incident could be easily created by American provocateurs. "As tensions surrounding Iran's seizure of 15 British navy personnel continue to build, ominous signs that war is nearing give an indication that this could be the new 'Gulf of Tonkin' Bush and Blair have long yearned for to justify air strikes on Iran." * "The U.S. has escalated war games in the area, "The manoeuvres involve the USS John C. Stennis and the USS Dwight D. Eisenhower, marking the first time the two strike groups have operated in a joint exercise under the US Navy's Fifth Fleet"
* "Russian news outlets are reporting that such activity represents, "Heightened U.S. military preparations for both an air and ground operation against Iran," that closely resembles the situation immediately before the invasion of Iraq in March 2003." * "British Prime Minister Tony Blair has given the Iranians just days to return the marines safely before harsher steps are taken." Notice how the British Navy is said to have been "unnecessarily provocative" in their boarding and inspection of ships in the area, just prior to Iran's seizure of the 15 British Naval Marines. "Former British Ambassador to Uzbekistan, Craig Murray, slammed the spin and rhetoric Tony Blair has cased the crisis in, pointing out that the Royal Navy boarded the ships not to conduct inspections on weapons smuggling, but to look for tax evaders. 'In international law the Iranian government were not out of order in detaining foreign military personnel in waters to which they have a legitimate claim', said Murray, adding 'For the Royal Navy, to be interdicting shipping within the twelve mile limit of territorial seas in a region they know full well is subject to maritime boundary dispute, is unnecessarily provocative'." Therefore, the British Navy might have just deliberately interdicted shipping within the 12-mile limit, claimed by Iran as their territorial waters. The Brits could claim to have been in international waters, while Iran would claim the British were operating in Iranian waters. Both sides would be right, because these waters are disputed. However, such a situation is tailor-made for a provocateur type of incident. Russian Intelligence confirmed the American military buildup close to Iran. "MOSCOW, March 27 (RIA Novosti) - Russian military intelligence services are reporting a flurry of activity by U.S. Armed Forces near Iran's borders ... 'The latest military intelligence data point to heightened U.S. military preparations for both an air and ground operation against Iran', the official said, adding that the Pentagon has probably not yet made a final decision as to when an attack will be launched. Col.-Gen. Leonid Ivashov, vice president of the Academy of Geopolitical Sciences, said last week that the Pentagon is planning to deliver a massive air strike on Iran's military infrastructure in the near future." "A new U.S. carrier battle group has been dispatched to the Gulf." This next story is one which would cause any military intelligence person to sit up and take notice, for it is a true war sign. Notice the May timeframe, the same month in which Prince Harry is to arrive in the Basra area. Even Russia is evacuating citizens and workers! "World Powers Prepare to Evacuate Their Citizens from the Country ... Kommersant has learned that Russian companies working in the country are already working on plans to evacuate their employees, and Russian diplomats also acknowledge that preparations to evacuate Russian citizens from the country are underway and that evacuations could begin as early as May." "The Exit is Near - Rumors that almost all of the world's leading powers are concerned about an upcoming evacuation of their citizens from Iran were flying at the end of last week ... Moscow is bringing home all Russian citizens currently working on the construction of the Bushehr nuclear power plant in Iran ... an official source in Rosatom confirmed for Kommersant that evacuation plans are being prepared in earnest. 'Naturally, means of evacuating [Russian citizens] are being considered ... Employees of various Russian companies who are working in Iran also confirmed that preparations for evacuations have already begun. For example, according to information obtained by Kommersant, the company Interenergoservis has circulated a memo among its employees warning them that they may soon be forced to flee the country in Russian Emergencies Ministry planes." "... an anonymous Kommersant source in the Russian Foreign Ministry reported that plans to bring Russian citizens out of Iran are in the works, although the lead figure in such a situation is the Emergencies Ministry, not the Foreign Ministry, and final decisions about any further steps will be made at a higher level than in the ministries." This final segment demonstrates that Iran is preparing for war. "Iran is also preparing itself for actual war. At the end of last week, the Iranian Navy launched a massive program of military exercises in the Persian Gulf. The commander in charge of the training exercises, Admiral Mortaza Saffar, announced before the exercises began that 'if the US starts a war against Iran, it will not finish it'." 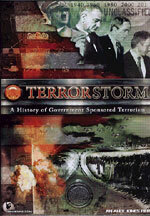 Whether an American attack against Iran is successful depends entirely upon the Illuminati Plan. Certainly, Russia has the capability to stop American planes and missiles cold, with her 5th-generation Scalar Weaponry. If America attacks, Russia had better be prepared to use her Scalar, for if she does not, and if American planes and missiles are seen to be successful, Russia's standing within the Arab and/or Islamic world will be shattered for at least a generation. Then, not one of the nations listed in Ezekiel 38-39 will have enough confidence in Russia's military capabilities to march with her against Israel. Cutting Edge has long maintained its belief that the hardline government of Iran is protected from Regime Change by the prophecy of Ezekiel 38-39. 1) Putin issued this warning on April 12, 2003, as American forces were still celebrating their easy victory over Saddam. 3) Since that warning, American rhetoric has always built up to a crescendo, only to fall back down, and military units have been dispatched to the region, only to be called back. Since Putin's "line in the sand" warning, no nation has actually attacked Iran. Since that warning on April 12, 2003, Russia has rushed state-of-the-art anti-aircraft weapons to Iran and to Syria. Putin reportedly dispatched elite Russian Spetznaz Forces to protect vital Iranian facilities just weeks ago. And, Russia does have fifth-generation Scalar weapons with which to repel any American attack, should Putin decide to do so. Cutting Edge has also noted that President Bush, Vice President Cheney, and others within the Bush Administration, are NOT loose cannons, nor are they insane, nor are they running after their own path. Skull & Bones Bush is carefully following his scripted role given him by the Illuminati. Further, since the outworking of this Dialectic Struggle Plan requires the Illuminati control both sides, Russia is also key in controlling the Iranians. Every major event will occur as it is scripted, and at the exact time it is scripted. 1) Iran has possessed nuclear weapons since early 2002! (Read NEWS1660). We can thank this Russian general for letting the truth slip out during a Moscow news conference! Therefore, the truth is opposite the stated public rhetoric, i.e., Iran is not pursuing a nuclear weapons program, since she already has nuclear capability. 2) Iran's nuclear program does not violate any international agreements! The entire episode is simply created propaganda, a tempest in a teapot, so to speak. Therefore, we know that this entire crisis is staged. Therefore, it will unfold according to Illuminati Plan. We know several planks in that Plan. 1) Terrorism in every Western nation currently electing their leaders is planned, so that each government can be overthrown, using terrorism as the excuse. Iran has promised that they have agent teams in place and will immediately begin these terror attacks if they are attacked. These terror attacks are part of the 91-day World War III scenario; therefore, the attack on Iran which would precipitate this kind of attack will occur only if the Illuminati is ready to launch World War III. 2) The Illuminati plans to destroy the Industrial economies throughout the world, a destruction made instantly probable with an attack on Iran. Oil shipments would be likely halted through the Strait of Hormuz, plus Russia, Iran, and Venezuela would likely pull back their daily oil, making a worldwide crash inevitable. However, the Illuminati determined many decades ago that Americans were to be kept feeling prosperous right up to the outbreak of the world war. 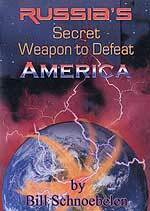 Therefore, the plan to destroy Industrial economies will not occur until after the World War III which is designed to produce Antichrist on the world scene. Once again, an attack on Iran will only occur if the launching of World War III is imminent. 1) A ground invasion from Iran in the southern area opposite Basra. Iran is said to have stationed over 100,000 troops along this border, and is vigorously removing the landmines left over from the 1980-1988 war with Iran. Certainly, if Iranian troops were to strike at Basra, they would need the landmines removed. 2) British Prince Harry is due to land in the Basra area in May, to begin his tour of duty. Prince Harry will be commanding a group of 12 elite British forward reconnaissance force. Such a force could be ambushed by elite Islamic commandos, which could result in Harry being captured. If Prince Harry were to be tortured and beheaded, World War III might begin. After all, the assassination of the Archduke Franz Ferdinand, the heir to the Austro-Hungarian throne, and his wife, Sophie Chotek, in Sarajevo, the capital of Bosnia, began the conflict which gradually grew into World War I. A brutal murder of a British Royal here might just plunge the world into World War III -- just as the Illuminist, H.G. Wells, predicted. This scenario is speculation, but it does seem possible.